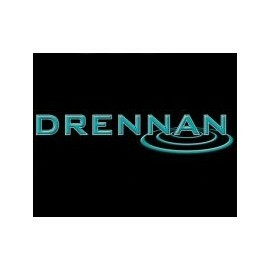 Drennan Tackle There are 40 products. These short-shank, barbless eyed Drennan hooks have a bronze finish. With a curved and chemically etched needle point they are a strong pattern, ideal for hard fighting fish. The key features of wide gape and short shank combined with a curved needle point, and micro barb make this a really tough, effective and reliable pattern for all types of feeder and straight leger fishing. Missed bites are reduced and fewer fish manage to shed the hook. This pattern is an eyed version of the popular barbless carp feederspace end. Produced in super high carbon wire the shape reduces the number of missed bites and provides such a secure hook hold that you wonder why you ever needed barbs. These hooks have an upturned eye which is specifically designed for hair rigging with the knotless knot. Its unusual shape allows the hook to hang directly under the hooklink improving presentation and hooking. The slightly heavier gauge makes these hooks ideal for larger fish using hooklinks up to 7lb. One of the new series of spade end hooks from Drennan, launched in November 2008, which have been 2 years in perfecting. Designed for the modern commercial stillwaters where barbless patterns are appropri­ate. A double extra strong pattern using the same proven shape as the barbless carp feeder. Perfect for hair rigs and the no-knot, this design definitely hooks more carp, especially when fishing the method feeder. 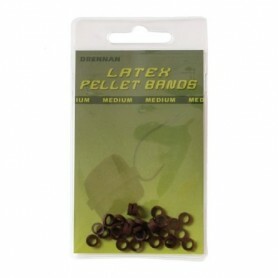 Drennan clip beads slide easily on the line, act as shock absorbers and allow quick change of bombs, feeders etc. When the fishing is difficult and bites are finicky, an ultra lightweight hook can be invaluable for providing extra bites. The Drennan Grippa Stops bulbous end makes a perfect stop for small sliding rings. The direction of the stop on the mainline can be reversed by taking it of the wire onto a loop of nylon and then transfering it to the reel line. Most popular adjustable stop system on the market. Line passes through the main frame and then the plug secures its position on the line. One of the new series of spade end hooks from Drennan, launched in November 2008, which have been 2 years in perfecting. Designed for rivers, canals, and stillwaters where barbless patterns are appropri­ate. Drennan Method Connectors are quick change connectors designed to go with Drennan Flat Method Feeders. The provide and easy loop to loop slimline joint which slides back inside the body of the in line feeder every time. The heaviest wire gauge hooks in the Hair Rigger range, the Power Hair Rigger is designed specifically for hair rigs using the knotless knot. The special drop crystal bend sits the bait down right below the point, a design feature that helps to reduce the number of missed bites.